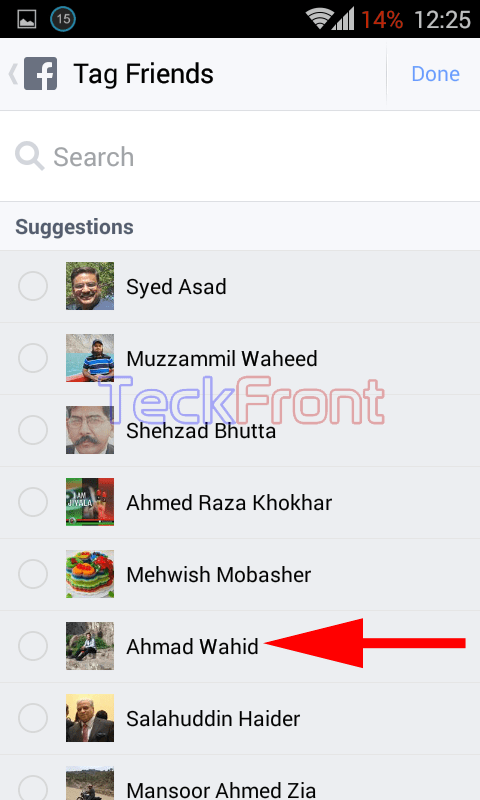 Making More Friends by Updating Attractive Status on Facebook App on Android 4.4.x KitKat Device? The most critical and crux of whole the Facebook App Activity is updating your status. This is simple yet very tricky process which may attract more and more friends on the Facebook. Many people decide about the friendship with you after seeing your posts and their style. 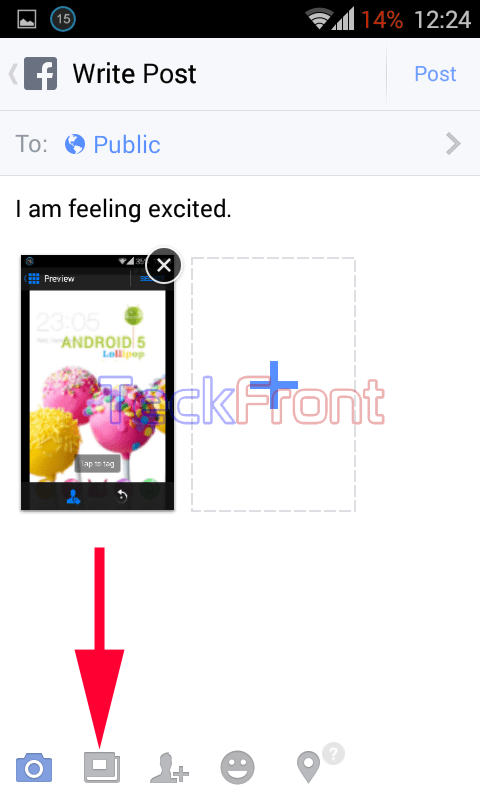 The posting in the Facebook app on Android 4.4.x KitKat devices is mostly similar to that on the Desktop but with a few changes. 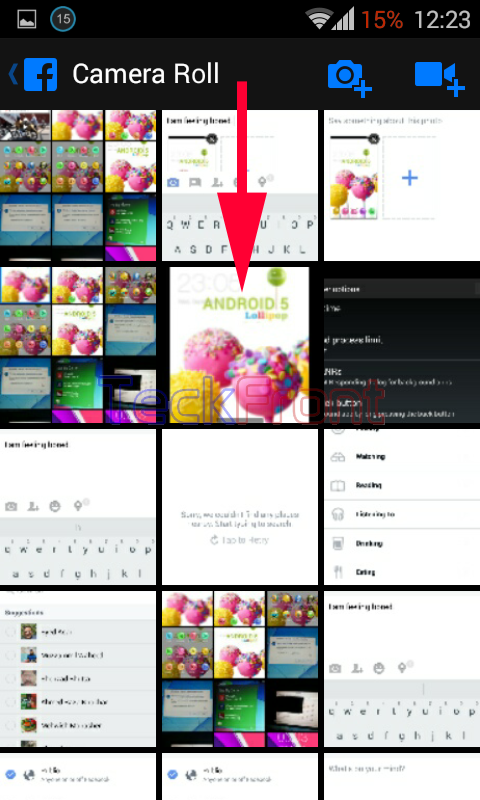 You may upload a post in a few seconds on Android 4.4.x KitKat device if the following instructions are followed. 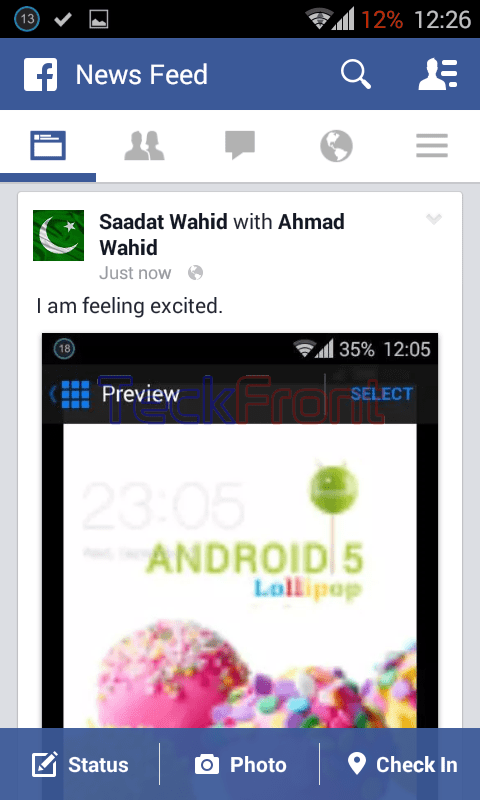 1: Just tap the icon of Facebook app on the Home screen of your Android 4.4.x KitKat device to open up the Facebook app screen. 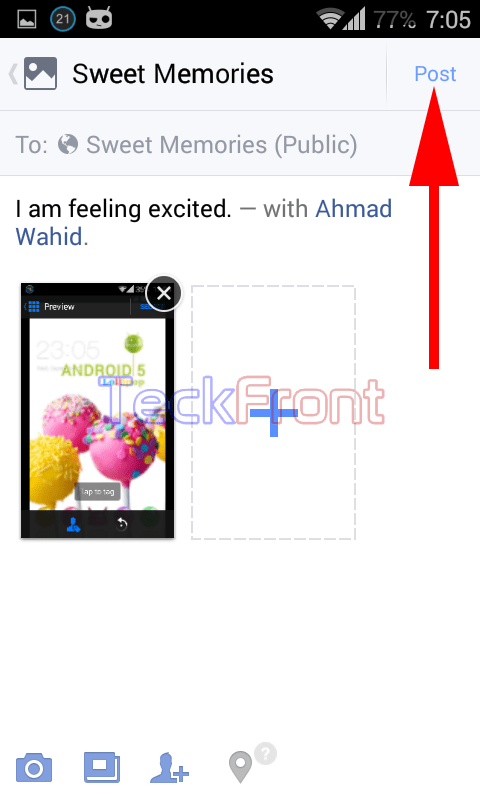 2: At the Facebook app screen, tap and scroll up the screen with your finger. 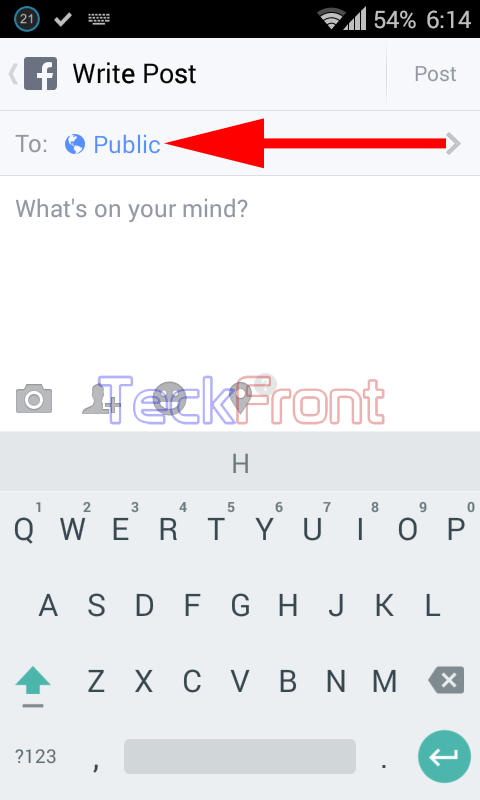 3: When you will scroll down the screen of the Facebook app, a status bar will appear at the bottom of the screen. Tap the ‘Status’ to update your status. It will take you to the ‘Write Post’ screen. 4: Here at the ‘Write Post’ screen, decide about the sharing options. 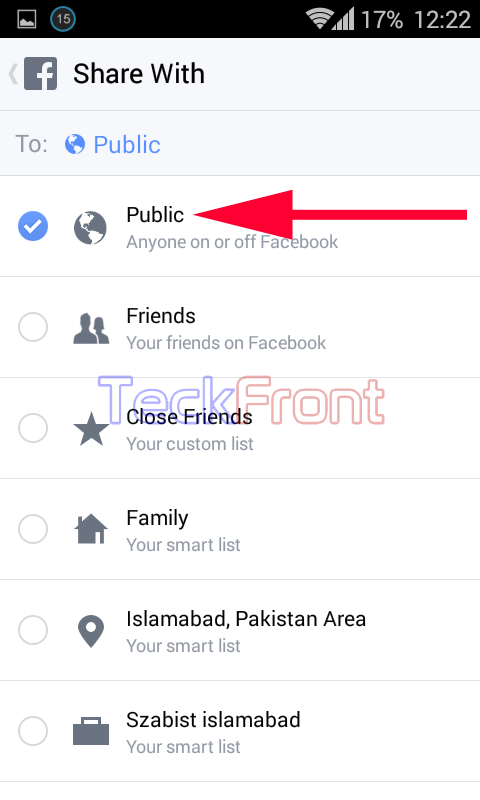 5: See here the default sharing status is ‘Public’. 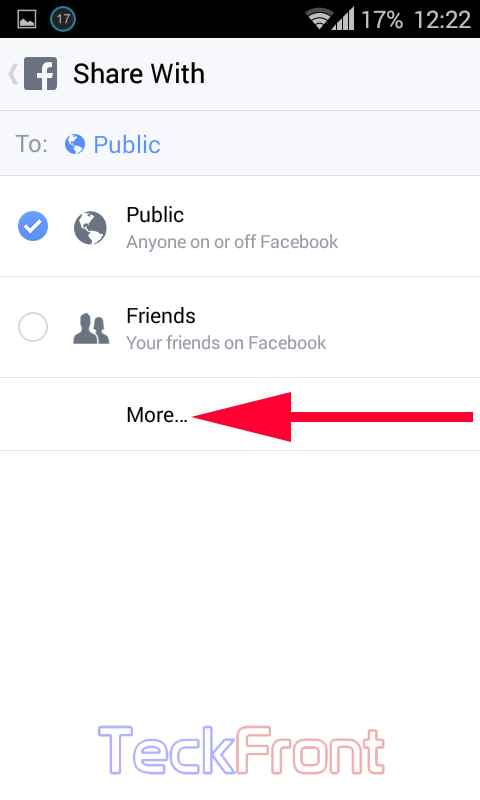 Tap it to open up more options to expand it with two option; ‘Public’ and ‘Friends’. To open up more options, tap ‘More’ at the bottom of the screen. It will further open up more sharing options. 6: Here, you may select any option, depending upon your need and / or choice. I decided to keep my sharing status as ‘Public’ and tapped back to ‘Write Post’ screen. 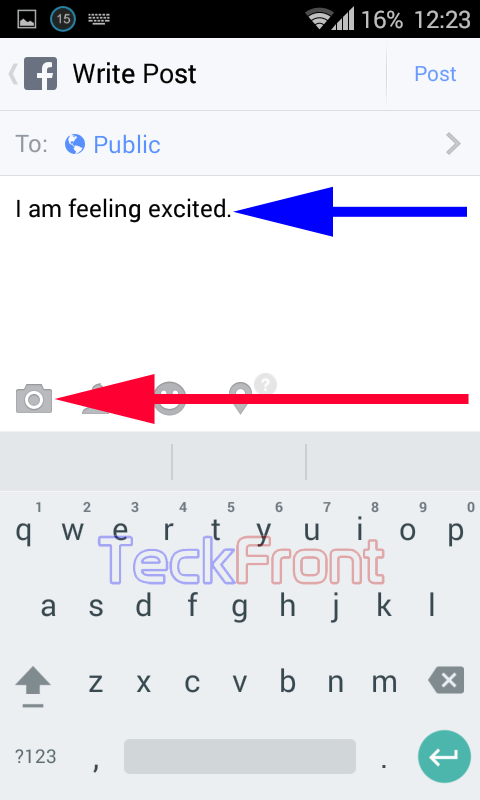 7: At the ‘Write Post’ screen, I wrote my Status with the help of the keyboard, opening at the bottom of the screen. At the stage, I decided to add a pic and tapped the icon of ‘Camera’ app. It will take you to the screen of ‘Camera Roll’ screen. 8: From my collection of pics, I selected a pic and tapped it. It opened pic the selected pic. 9: Here, tap the SELECT at the top right corner. 10: At the ‘Camera Roll’ screen, tap DONE at the top right corner of the screen. This will add the pic, selected, on the ‘Write Post’ screen. 11: IF you want to add more pics, just tap ‘+’ sign, given at the right of the pic, just inserted. If you want to add the pic in any album, tap the ‘Album’ icon. 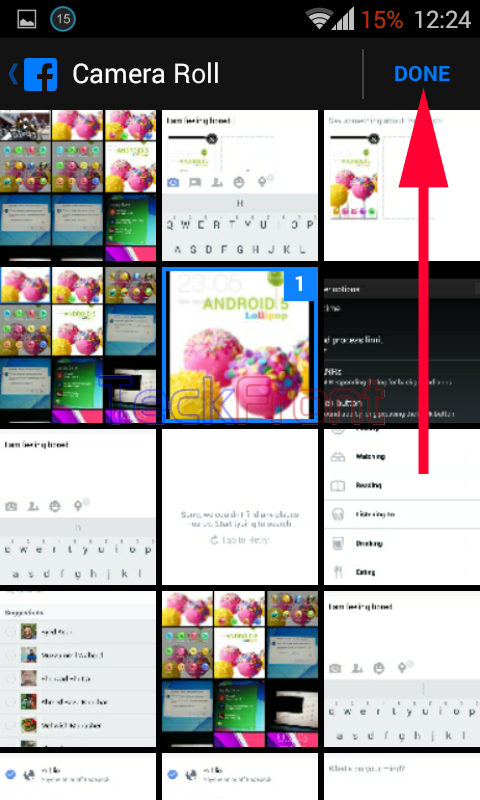 12: At the ‘Select Album’ screen, you may either tap the ‘Create Album’ to create a new album or tap any other album to add the pic in that album. 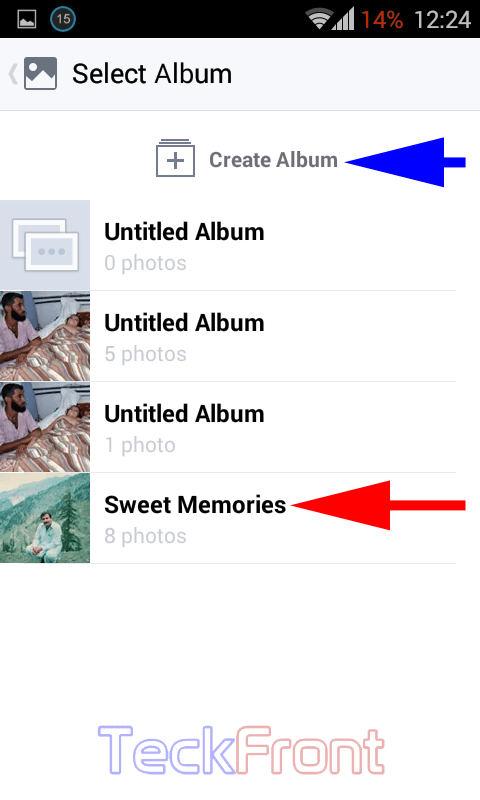 I selected ‘Sweet Memories’ album to add the pic in that album. 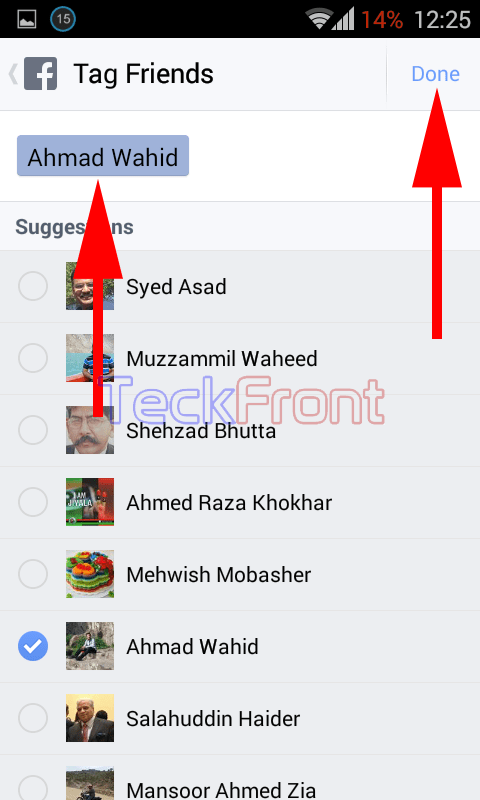 13: To tag some friend(s) in this post, tag button of the ‘Tag Friend’ to open up the ‘Tag Friends’ screen. Select the Friend(s) which you want to tag. 14: See the friend, tagged, is highlighted. Now, tap ‘Done’, given at the top right corner of the screen. 15: See your status is ready to be updated and is named; Sweet Memories’ (the name of the album in which the pic was added). 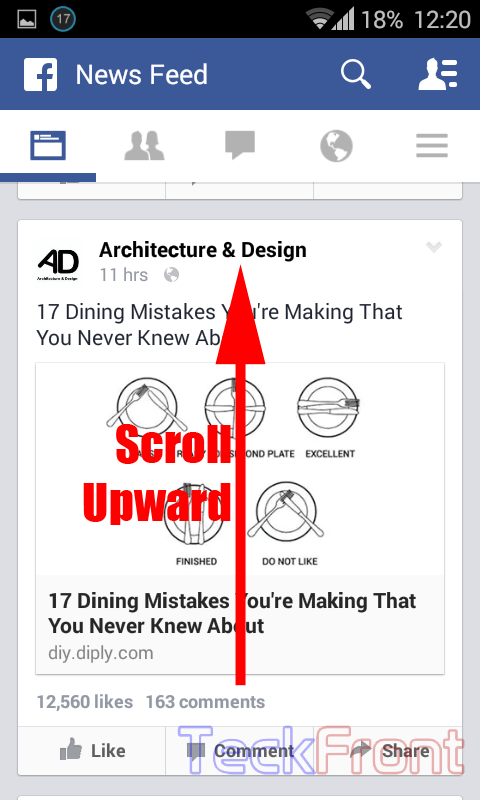 Tap the ‘Post’ button, given at the top right corner of the screen. It will update your status on the Facebook. 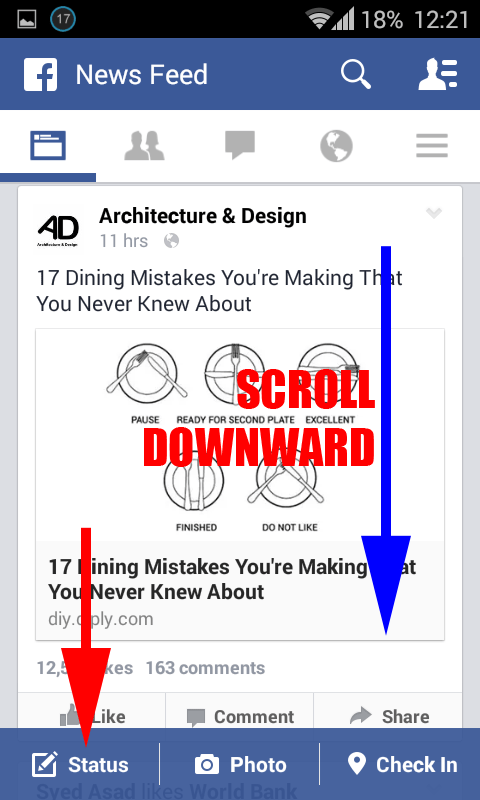 16: If you want to delete this post, tap the popup opening button, given at the right of the post (see the blue arrow). It will open up a popup menu. Tap the ‘Delete’ item in the popup menu. It will open up prompt. 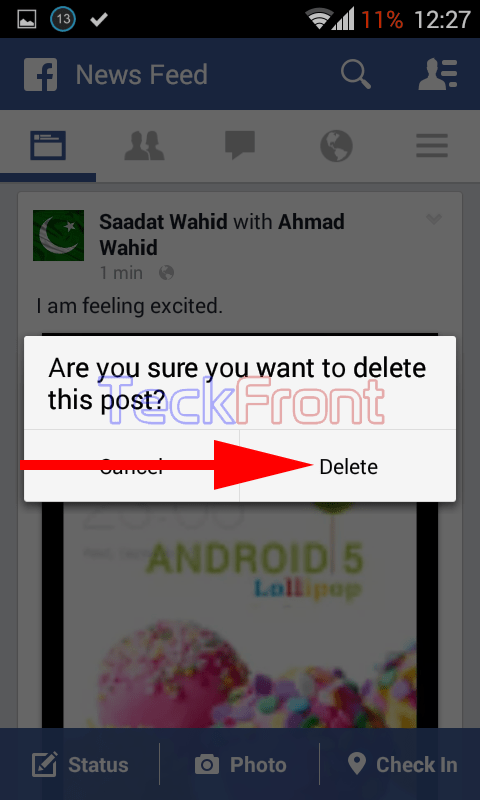 16: In the prompt, Facebook will ask you to confirm; whether you want to delete the post. 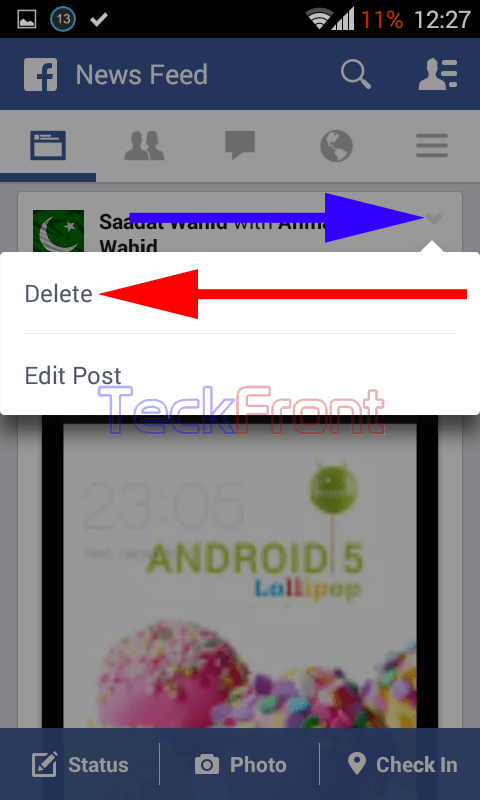 If you are certain to delete the post, tap ‘Delete’. And the post will be deleted, immediately’. 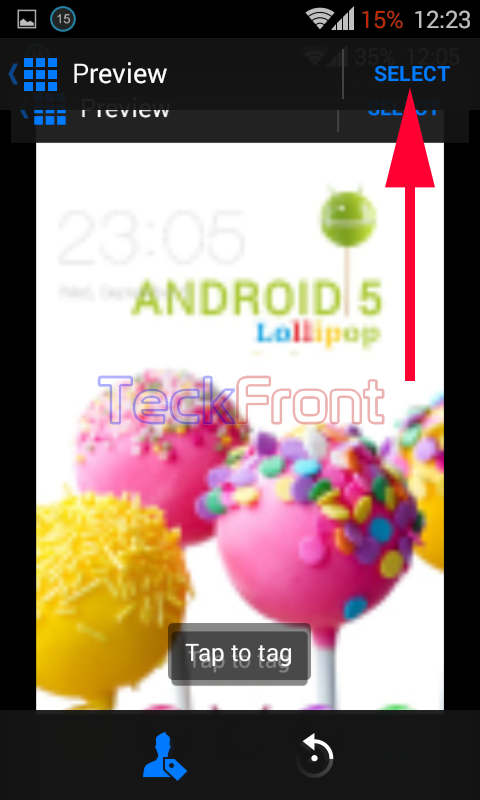 Older How to Restrict Purchase of Apps at Google Play by Password on Android 4.4.x KitKat Device?